. 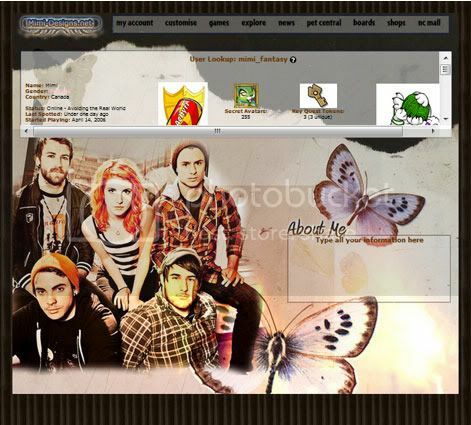 : Graphics | Userlookup | Paramore :. To use any of these lookup simply select all the coding in the box and press Ctrl+C to copy, go to Edit Profile and paste all the coding in the About Me box and then save! You can edit the part where it says that you can write anything there. If you wish to use the coding of any of these lookup to make your own you MUST write somewhere visible that the coding comes from here, you may not make use of the codings to make User Lookup for people other than yourself.